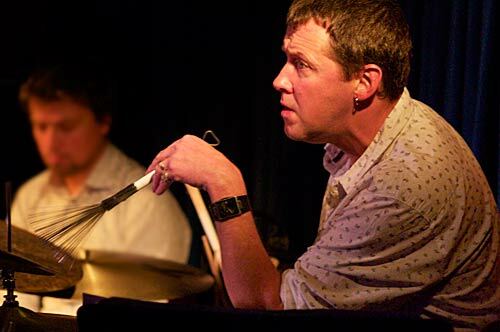 When Robert Burke, Tony Gould, Nick Haywood and Tony Floyd launch their album Live At Bennetts Lane (Jazzhead) this week by playing live at Bennetts Lane, one member of the quartet will be studying their performance closely. 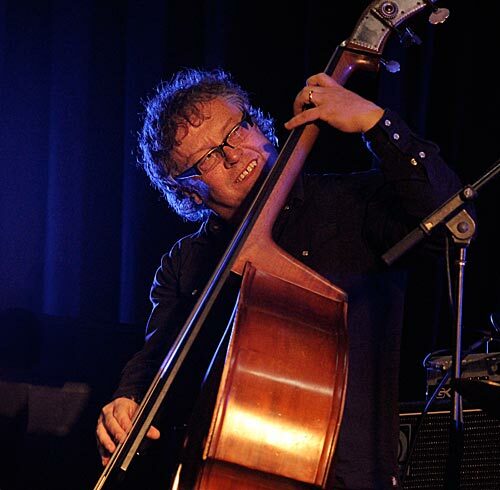 Bassist Haywood, who with his newly formed quartet of Colin Hopkins on piano, Stephen Magnusson on guitar and Allan Browne on drums recently released the album 1234, is making a comparison of these two bands as part of his studies for a PhD. The key difference between the two groups is time spent playing together as a band — the combo of Burke, Gould, Haywood and Floyd have had 15 years to get to know each other’s work in the quartet. It will be fascinating to see what emerges from Haywood’s participant-observation research. There is an academic flavour to the quartet that Burke says has matured over its years of playing at Bennetts Lane. 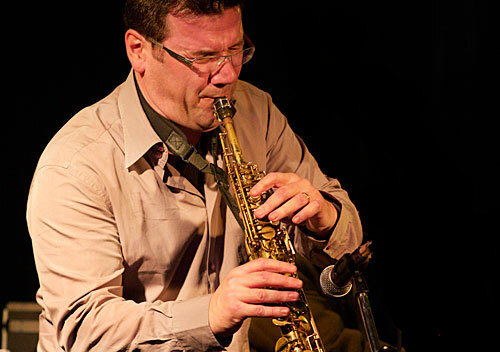 Burke is Head of the School of Music and Coordinator of Jazz and Popular Studies at Monash University. Gould, who until 2005 was Head (Dean) of and Associate Professor at the School of Music, Victorian College of the Arts, will take up a teaching post at Monash University in 2012. Haywood is Head of Program and Senior Lecturer in the Department of Music at NMIT. Floyd works as a sessional teacher at the Victoria College of Arts and Monash University. 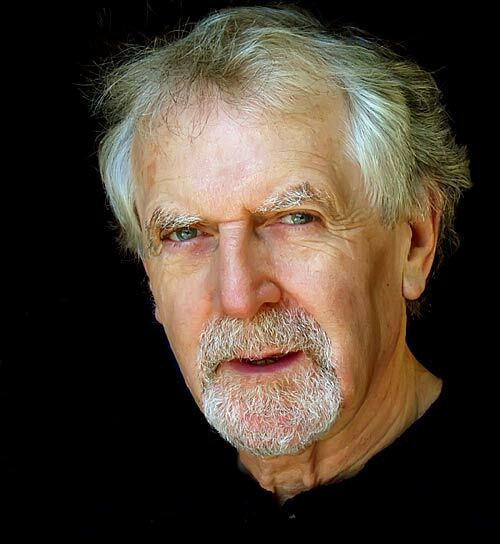 But the music for Tuesday’s CD launch, culled by Burke from his recordings taken over three years of the band’s live performances at Bennetts Lane, is likely to be anything but academic or formal. Burke says quartet members do not rehearse, but arrive at the gig early to go through the tunes. On the new album the quartet plays two standards, Cole Porter’s All of You and Easy To Remember (Hart/Rodgers), traditional tune Charukeshi, Tahdon by Finnish saxophonist Jukka Perko and two pieces by Burke entitled Pointilism and Yashanmali (after his three daughters). 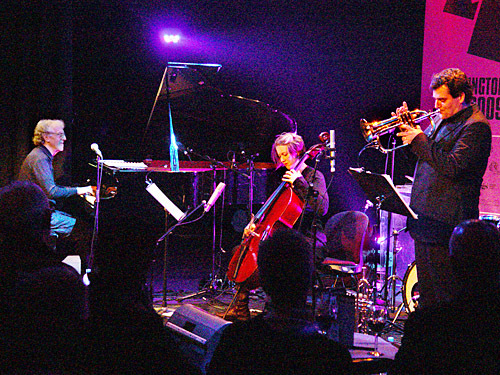 Burke says the quartet tries to avoid taking a formulaic approach to improvisation. “It’s not that interesting to the other members of the ensemble if somebody’s playing 10 chords of their own licks which are somebody else’s. So if we’re playing a standard we’ll be playing within the harmony, but moving away from playing somebody else’s solos. It’s about the group improvisation. The quartet has had plenty of time to build rapport. Burke was 15 when he met Gould, who was taking classes at the University of Melbourne. Tony Floyd on drums at Bennetts Lane, but with a different band. Burke met Floyd, along with Doug de Vries and Jex Saarelaht, in the 1980s when music educator Jamie Aebersold came to Australia. He met Nick at the VCA and quartet members had some gigs from 1983 when Martin Jackson formed the Melbourne Jazz Cooperative. But they did not start playing together as a group until 1996. Burke says this is not traditional mainstream jazz. “We don’t play what I call eighth note jazz, which is what you have when the bassist is doing a walking bass. It’s more open. Sundays used to be days of worship and reverence for many of us, and the chords and melodies of hymns are deeply embedded in our musical memory banks. Many of us have left that music behind in the process of shedding beliefs, but the beauty and mystery and — it often seemed — the rich exultation and sadness have left their mark, even if at times it shows mostly in an imperative to find alternatives that are challenging, dissonant or provocative. Marinucci, Gould and Manins are not inviting us to worship, but they may well inspire us to reverence with the beauty of their playing and allow us to sink deeply into the luxurious timbres of their instruments. I don’t know what this trio will be playing, but I don’t expect it to be at all jarring or hard to take. This Sunday could well be a time for quiet reverence. No drums, no bass; just the mingling voices of these three instruments (well, four if you count Gianni’s two horns).